We're proud to have the following partners sharing the important mission of enabling all youth to be the best version of themselves as life-long learners. A leading voice on K-12 education for more than 40 years, the Association of Washington School Principals is the state’s preeminent professional association for principals, assistant principals and principal interns. Our mission is to support principals and the principalship in the education of all students. The Massachusetts Interscholastic Athletic Association is a private, non-profit association organized by its member schools to govern, coordinate and promote education based programs for high school students. The MIAA is self-regulating with the 378 member schools providing individual leaders to serve within the 35 MIAA governance units. The latest annual participation survey demonstrates that 230,664 team positions were filled by student-athletes in 33 sports. The MIAA maintains a mission of creating and sharing life lessons through sports and activities. The Rhode Island Interscholastic League provides it's member schools with governance for sports and athletics for it's member schools. The RIIL's participation mission is the support of sportsmanship, competition, and the growth of its athletes via life lessons and leadership. 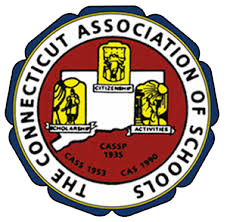 Unique among the fifty state associations functioning within our national borders, the Connecticut Association of Schools (formerly the Connecticut Association of Secondary Schools) was created in 1953 through the merger of the Connecticut Association of Secondary School Principals and the Connecticut Interscholastic Athletic Conference. Why unique? Because unlike most states which have one association devoted to professional programs for principals and another devoted to athletic and extra-curricular activities for students, CAS is a single organization serving schools, their students and staff, in all areas of operation. 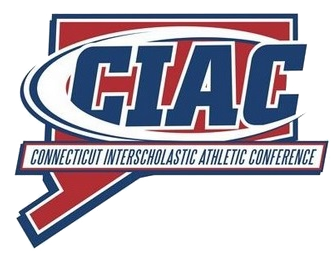 The Connecticut Interscholastic Athletic Conference serves it's member schools by providing an organized and value-add sports and athletics experience. The CIAC fosters sportsmanship, leadership, citizenship, and personal growth through the life lessons of competition. The CIAC focuses on the development of both good athletes, and Great People. FIRST Washington ignites youthful minds through education, hard work, mentorship, and healthy competition. Just as important, participants are integrated into a fun, team-based learning environment created to encourage their interests, teach the benefits of collaboration, boost self-confidence - and illuminate the exciting world of STEM study and careers. What's going to be happening next in STEM is happening here. Members of WACA (Washington Activity Coordinators Association) include representatives from middle, junior and high schools from a variety of activity areas from all over Washington State. Delegates include activity coordinators, cheer coaches, ASB and club advisers, class advisers, administrators, athletic directors, leadership teachers and activity secretaries. The Organization's Mission: FINAO supports WACA's mission to promote and provide resources for those involved in student activity programs that actively engage students in a positive learning community. The Unified Champion Schools approach incorporates Special Olympics sports, leadership and related activities that empower youth to be change agents in their communities. This is a paradigm shift from a focus on events to that of a whole school movement for inclusion. Special education and general education students alongside educators and administrators are encouraged to collaborate to create supportive classrooms, school-wide activities and opportunities for growth and success for all. When everyone in a school fosters a socially inclusive school climate that emphasizes acceptance, respect and human dignity for all students, schools become places where no student is isolated because of the degree or type of disability or the services required to meet his/her needs. Together we are creating a Unified Generation that Chooses to Include. Blanket Coverage, the Richard Sherman Family Foundation, was formed in 2013 by Richard Sherman to provide students in low-income communities with school supplies and clothing so they can more adequately achieve their goals. During his high school days, his childhood idol Magic Johnson came to Dominguez High School in Compton, CA and spoke to Richard and his classmates on the importance of setting and achieving your goals. Since that time Richard has made it his focus to preach those same sentiments and help students achieve their fullest potential. Since forming Blanket Coverage, Richard Sherman and the Blanket Coverage team have made it their mission to provide school supplies for students across America. Richard has visited several elementary and high schools, speaking to the student body on making the world a better place than when they entered it.